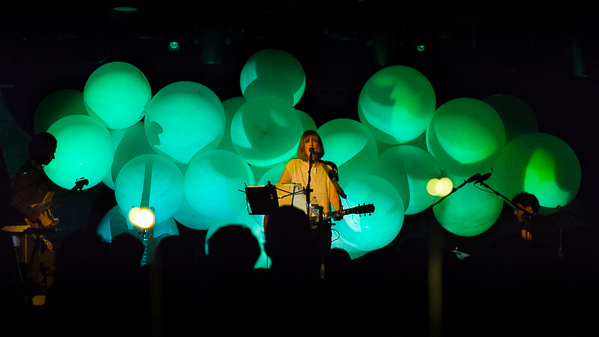 The Teragram Ballroom, adjacent to Downtown L.A., was the spot to be to catch Beth Orton showing off her new music and highly-evolved sound with her latest album, Kidsticks. 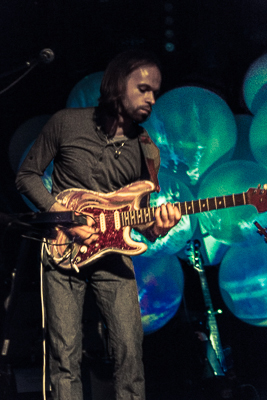 Orton has opened a portal into the exploration of instrumentation and digital manipulation with this album. 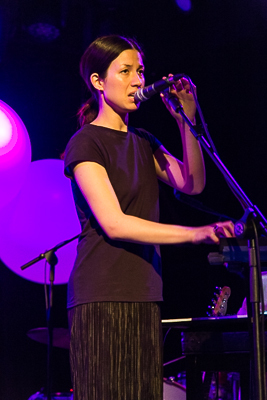 Orton’s debut in 1993, Superpinkymandy, and follow-up release, Trailer Park (1996) introduced her folk-tronica style that fans have come to recognize. Kidsticks showcases Orton’s path down electronic ambience as she wrestles to control the amount of creativity coalescing in one album. She is at the top of her game and promises to put on an incredible show. 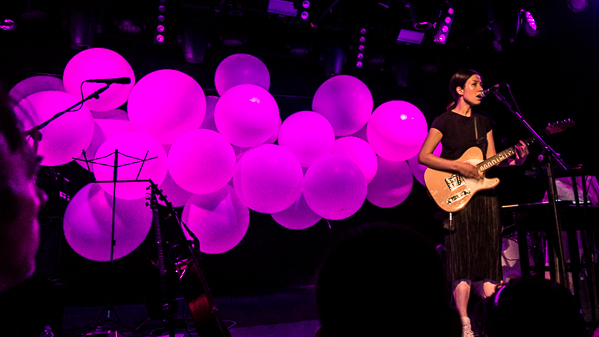 The opener, Emmy The Great, was a solo musician on this night and comes from London, England. She shared the stage with only her single guitar and keyboard. Compared to Lily Allen and Laura Marling, Emma (Lee-Moss) played unique folk-ish pop with hooks that grabbed the attention of those new fans in the room. Her style was tender but forceful making the listener pause for a moment and focus on the ethereal notes the keyboard dispensed. The soft movements of her strums spun a web of quantum entanglement as the room witnessed the sophisticated power of Emmy The Great. Her name was accurately fitting. As the crowd settled down, Beth Orton came to the stage and made her humble entrance to the mic. She thanked the crowd for coming out and wasted no time with her bassist and drummer. The rear wall, covered with large white balloons, created the perfect canvas for the playback projections trailing like a shower of nano-dust particles moving throughout the stage. The lights rotated colors and patterns back and forth creating a soothing swaying motion as if Orton planned to cradle us in a warm blanket with the track, “Moon.” The song’s hypnotic bass line moved bodies and had the crowd dancing to the groove. The three musicians on stage created colorful and euphoric sounds that treated the fans to something different, something special. Orton took time to thank the crowd but admitted, “I was kind of shitting bricks about tonight but it’s good to be here.” The crowd was on her side the entire night and did not hesitate to tell her so. She took the night into a highly evolved style and showed her fans her impressions of music from the past and the future. Several of the new tracks contained loops and digital distortion while exploiting the room’s size and allowing the notes to echo through the venue. Orton’s latest album is a departure from the guitar driven sound but shows the world her ability to take the listener into unknown spaces with plenty to see and experience. The current tour is taking summer/fall dates include several dates in the U.K. This entry was posted in Beth Orton, gigs and tagged Beth Orton, Kidsticks, Teragram Ballroom. Bookmark the permalink. I saw Beth in Philadelphia on June 12th. It was an incredible show for me also. Her voice was the best I have ever heard before and I have seen her about twelve times….Wonderful selection of songs…She came out after show and she personally signed her setlist for me…I hung it up!